It's not very often that my husband and I agree on books. He's into celebrity memoirs, comedy fiction and the odd romance novel (i.e. Fifty Shades of Grey). With that said, when I told him that Ronda Rousey was releasing a memoir he told me to pre-order it. 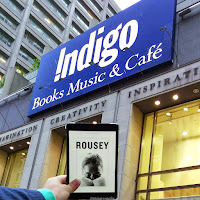 When I told him that she was coming to Toronto for a book signing, he took the day off. Indigo's event rules were pretty straightforward. Starting at 8am on the morning of the event you buy the book and get a wristband. Then, at 7pm, you come back for the book signing and meet and greet. The night before the event, around 8pm, I read on Twitter that there was already one person in line. This worried us a bit so we set our alarm for an hour earlier than our original plan. We were up and out the door at 5:30am. We got in the car and began our 46km drive to downtown Toronto. We arrived at our destination, Indigo Bay & Bloor, about an hour later. To our surprise, the line up was fairly short and we were 8th in line. 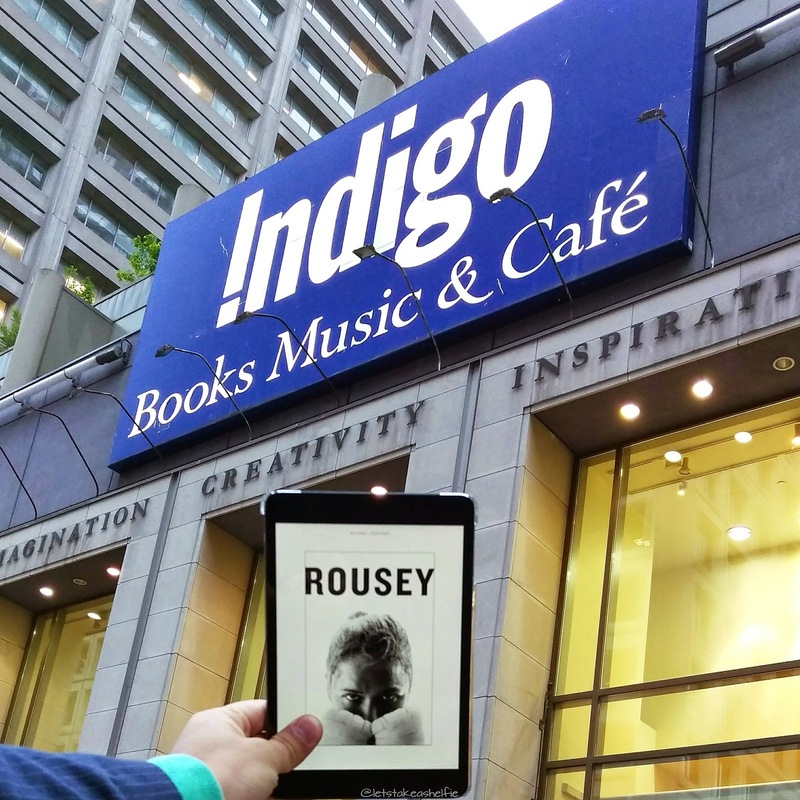 I pulled out my iPad and began to read my digital copy of My Fight Your Fight. The 2.5 hours went by fairly quickly and we met some pretty awesome folks while in line. By about 7:50am, my fingers and toes were frozen. Thankfully, the Indigo Events team started shuttling us into the store. About 15 minutes later JG and I left with our copies of the book and drove back home to sleep. Well, he slept, I read. 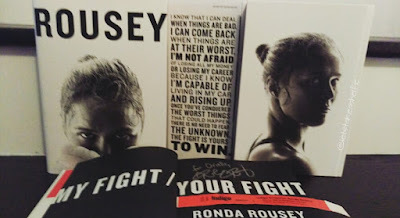 I couldn't help but continue reading Ronda's book. It's really hard to put down. Once our batteries were recharged, we headed back downtown for the official event. At about 6pm we were called by group number. Waking up at 4am had its benefits and helped ensure we were in Group 1. We waited in anticipation for Ronda to come out and when she did, it was absolute pandemonium. She said a few quick words, thanked everyone for being there and got the show started. 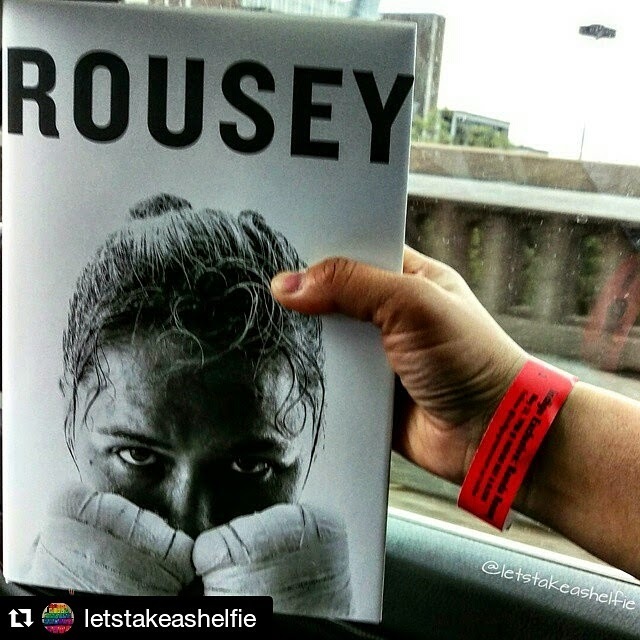 Prior to the event, we were told that Ronda would not be personalizing items or signing anything other than her book. 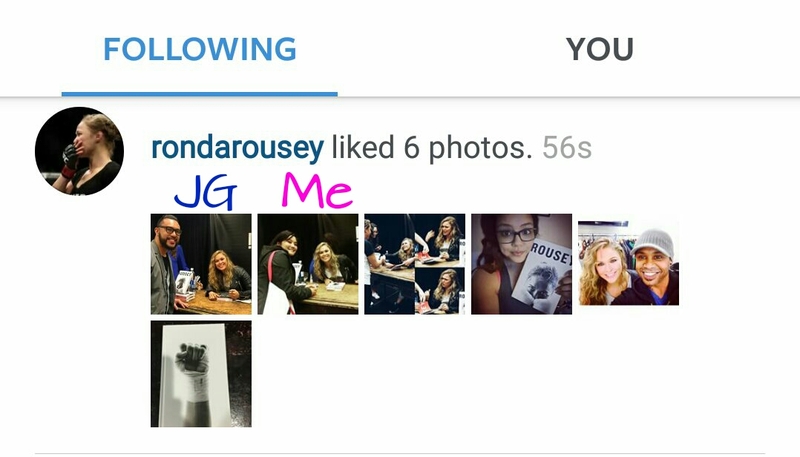 However, being the amazing person that she is, Ronda didn't stick to the rules. Fans were getting their arms signed, posed photos and personalized autographs. 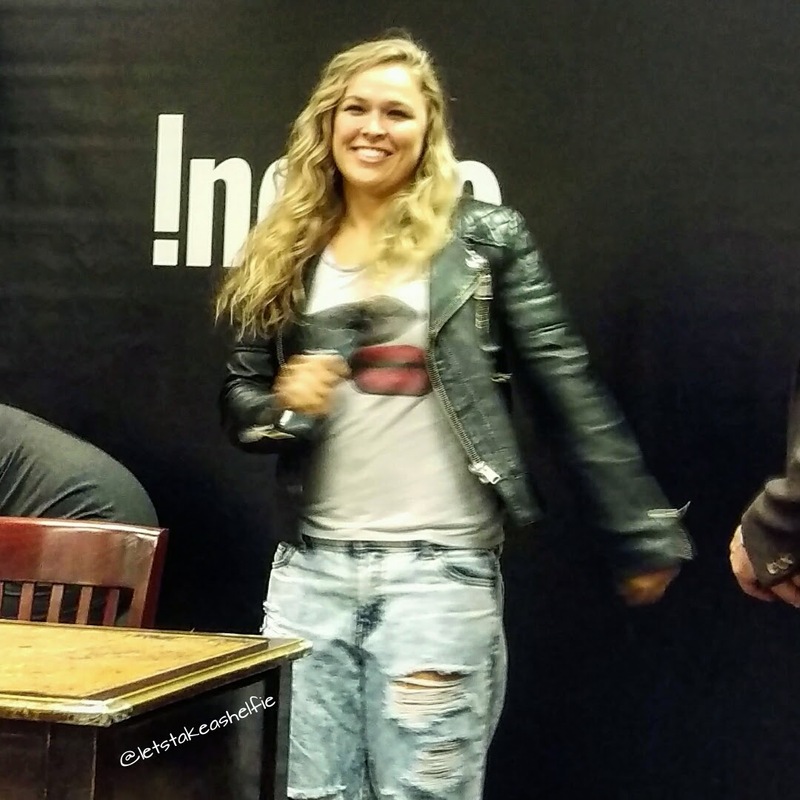 Ronda also made sure to really interact with her fans as she signed their books. happened. That pretty much capped off the night and made our 4am wake up call that much more worth it. From the short time that I got to speak with her and observe her with her fans, it was obvious to me that Ronda Rousey is an amazing person and the perfect example of a champion. This was only proven further as I continued to read her book. She is more than deserving of all the accolades and respect that she has earned. I can't wait to see what else she accomplishes in the years to come because I know she's just getting started. You can read my review of My Fight Your Fight here. 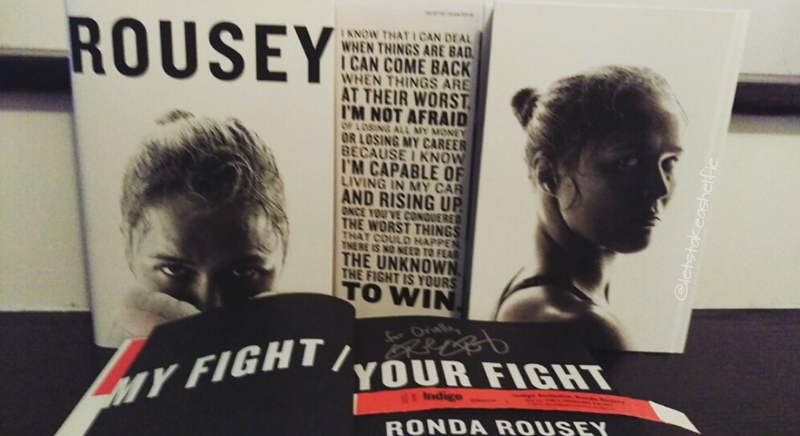 For those who missed the event, there is still a chance for you to purchase an autographed copy of My Fight Your Fight by Ronda Rousey. Click here for details.